As For Football’s College Football Show with your host Rob Wright. In this episode we react to the Game of the Year as Army defeated Navy to make it a #3PEAT. After we move onto the Bowl Games in the Week 1 Slate. 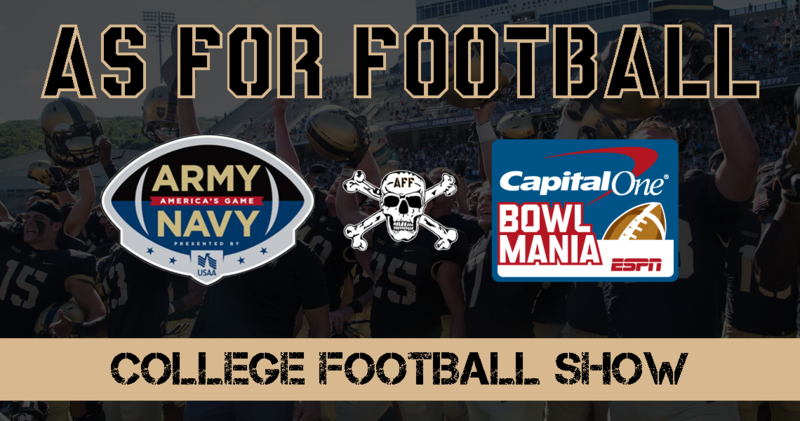 Rob, John, and Dan recap (0:52) and react to Army’s Win over Navy (2:30), Option Play of the Week (9:37), Best Bowl Games of Week 1 (11:36), Opening Weekend Bowl Projections (15:56), Week 1 Bowl Projections (25:32), and the Rob’s favorite things from this and last week (37:31).